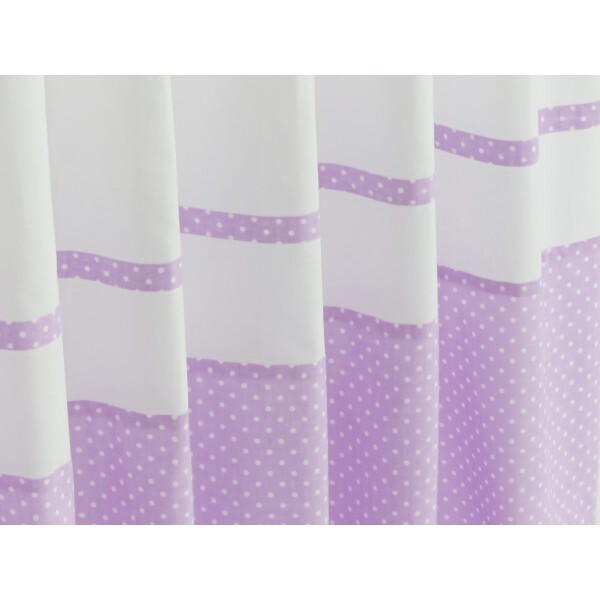 Oeko-Tex certified snow white pure cotton curtains with lavender polka dot bows. Blackout lining and a set of tiebacks. (Two panels). 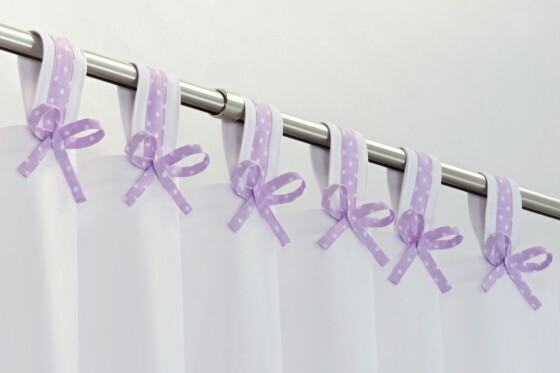 Due to the popularity of this design we have re-created it in cotton offering an alternative to the more expensive linen version. 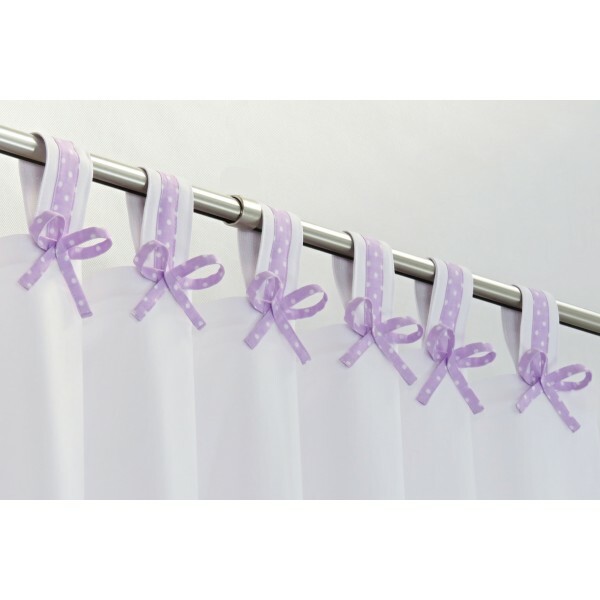 Like the original design, these are equally elegant and feminine and will work great both in a nursery and a girl's room. 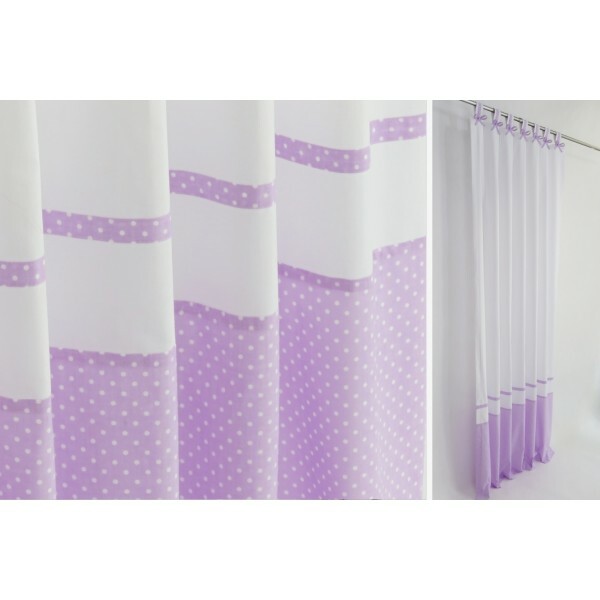 These curtains have been made using Oeko-Tex certified pure cotton in snow white with purple polka dot block and bows. 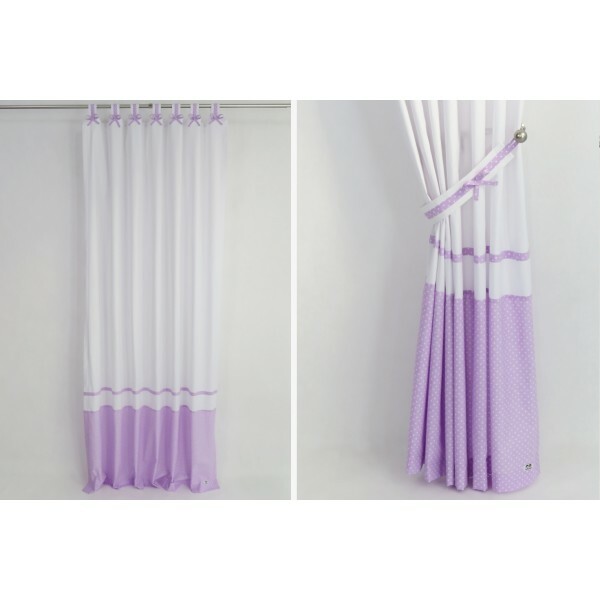 This is a medium weight fabric and works best when combined with blackout lining, unless you are looking for very airy and lightweight effect.